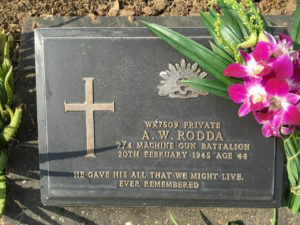 Kanchanaburi War Cemetery, Plot 1, Row G, Grave 52, Age 44. Wounded in action on 13.2.1942. Soldier received a shrapnel wound to his leg but remained on duty. 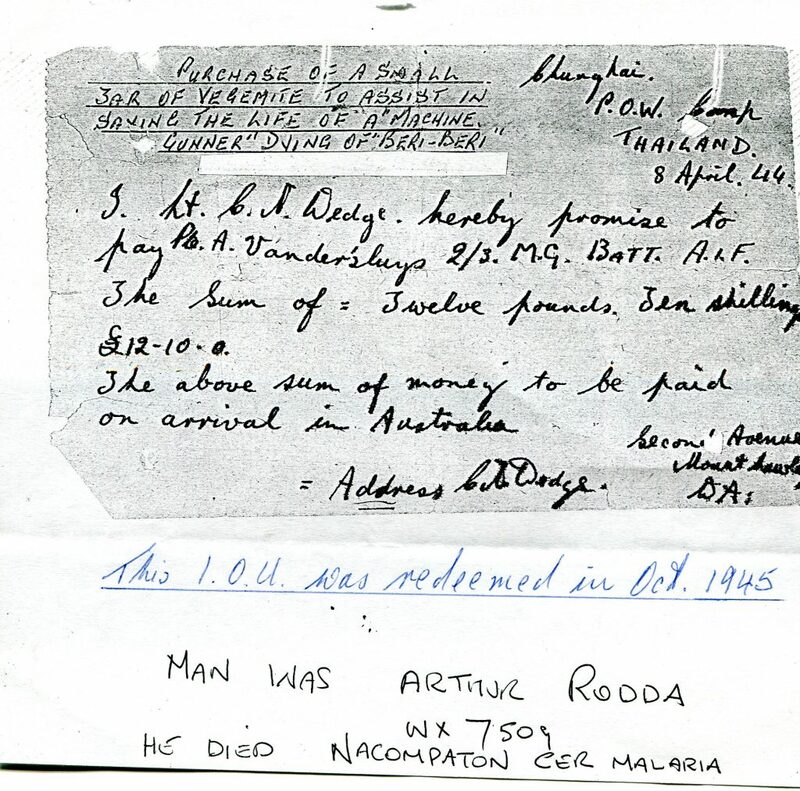 Rodda also had a history of repeated malaria attacks. On 8.4.1944 at Chungkai in Thailand Lieutenant ‘Mick’ Wedge signed an I.O.U. for 12 Pounds and 10 Shillings for a small jar of Vegemite to help Bill recover from beri‐beri, a B group vitamin deficiency disease. IOU written by Mick Wedge. Bill Rodda’s parents Henry Rodda and Jame Robertson married 1898 at Helena Valley. Bill was born two years later. He married Eileen Humphreys in 1924. The couple had two children, William Henry born in 1925 and Shirley Margaret born in 1926. The marriage ended in divorce. 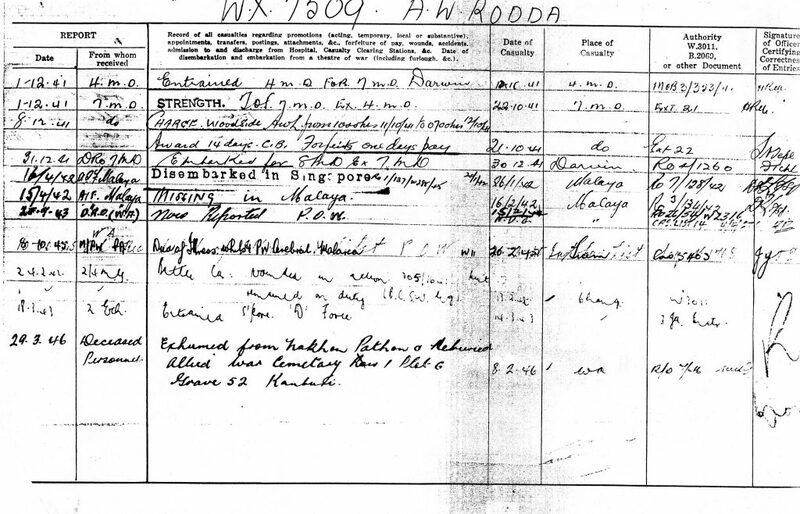 In 1936 Bill Rodda married Maisie ‘Eileen’ Newman and they had a daughter Wendy. Below: From Swan Express (Midland Junction) November 1944.